One of the great privileges of my life is interviewing Christians who have faced persecution. To be able to sit down with these brothers and sisters, drink tea and simply ask questions to explore their faith and their relationship with Jesus is a source of great joy to me, as well as a spur to my own faith and walk with Christ. 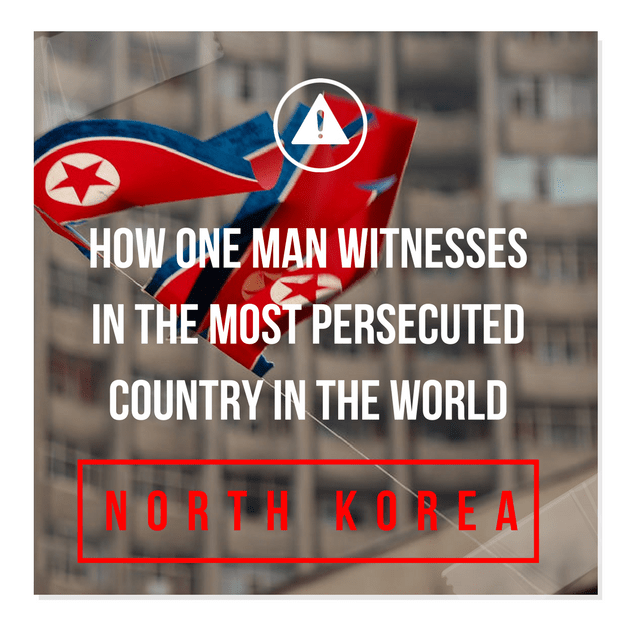 Recently I interviewed John Short, a Christian who was detained in North Korea after he left gospel tracts outside a Buddhist temple. Todd Nettleton: How was your prayer life while you were being detained? John Short: Much more time for prayer. I must admit that one then sees [when detained] that our lives are busy, but “there is a place of quiet rest near to the heart of God;” there is place where we can touch the throne and we can pray and intercede. I believe that Satan cannot read my thoughts. I believe that articulation of words, the banishment of Satan, he needs to hear us say it and the walls of our imprisonment should hear, should reverberate with our prayers until they take away our voice. It should be articulated, I believe, so it is a wonderful when you are on your own and never less alone than when you are alone with the Lord; so you pray, so you speak to the Lord audibly. Of course there is unspoken prayer, but if I only pray [that way] Satan can’t hear it and Satan has no hold against the Lord Jesus Christ, he is a banished foe and needs to be told so. Todd Nettleton: So the guards that were with you all the time, did they respond in any way as you are praying out loud? I was struck by Mr. Short saying that Satan cannot read our thoughts…and that he wanted Satan to hear his prayers during his detention; he wanted Satan to know that he was not being swayed or intimidated, in spite of the might of the North Korean government arrayed against him. Do you agree with Mr. Short? Do you believe that Satan cannot read or “hear” what you are thinking? If you do believe that, have you ever intentionally prayed out loud specifically so that Satan would hear your prayers? If this is a new concept for you, how will it affect your prayer life going forward? Please share your thoughts in the comments to this post. Todd Nettleton has served the persecuted church and VOM more than 18 years. He has been interviewed more than 2000 times by various media outlets. He’s the author of Restricted Nations: North Korea, and served on the writing team for FOXE, Extreme Devotion, Hearts of Fire and other VOM books. Todd is the host of VOM Radio, VOM’s weekly half-hour radio show and podcast.